A group of East Jerusalem Palestinians has announced its intention to declare before the UN that they are formally "disengaging" from West Jerusalem and establishing an independent municipality to oversee internal affairs in their section of the city. The initiative, whether conceived as a gimmick or a genuine move, is led by an association in Jerusalem linking together over 130 Palestinian civil institutions. The group's leadership has said that its first move will be to send a letter to UN Secretary General Ban ki-Moon, requesting the UN realize its own decisions regarding East Jerusalem. Representatives on behalf of the umbrella group are scheduled to make their way to the UN office in the East Jerusalem neighborhood of Sheikh Jarrah and deliver the letter in person. "All UN resolutions since 1948 are based on the fact that Jerusalem is occupied territory, and that the occupation has no right to change its legal status, its geographical character or demographic makeup, and it is the right of its residents to take the necessary steps to organize and maintain their civilian lives," writes initiative leader, Hazem al-Gharabli. "The Israeli government has ignored these resolutions over the years and worked to alter that which characterizes this city and expel its resident from Arab Jerusalem to gain control over their lands and property. "This without paying heed to the UN's resolutions which called for the cessation of these practices… now the Israeli authorities are carrying out a series of racist acts, the ultimate goal of which is to bring to a complete change of the situation in the city." "Therefore – to stand up against this racism – the Jerusalem Association for Civil Institutions demands that the UN defend the residents of Arab Jerusalem and allow them to form a special municipality which will operate on their behalf in a manner that will serve the interests of its residents in accordance with UN resolutions. We demand of the UN to realize the resolutions pertaining to Jerusalem and not allow the Israeli authorities to continue ignoring them." After submitting the letter to the UN, the leaders of the initiative plan to hold a press conference in the Sheikh Jarrah neighborhood to announce the formation of a committee designed to plan to new municipality. 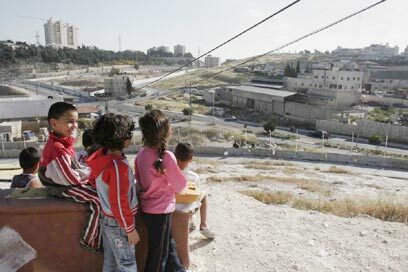 "The mayor of Jerusalem has stated that he views us as a demographic threat which must be disposed of. He can not be of service to us in this situation," al-Gharabli told Ynet. "We expect the UN to recognize us and send observers to help us in realizing this step." Publicity stunt or not, this will be one of the events marking the 40th anniversary of the Six Day War. According to al-Gharabli, the jurisdiction of the new municipality would follow the Green Line and it would serve all Arab residents of East Jerusalem. The new municipality would also still stake claim to Muslim assets in West Jerusalem. "My grandfather's home is in the western part of Jerusalem and I have no intention of giving up on it. The Israeli people can live in their capital in West Jerusalem – and we in the eastern part. We're realistic in our vision," said al-Gharabli. But Israel is obviously not going to recognize you. How do you intend to serve your constituents? Who will be responsible for the preparation of the municipality? "We haven't decided yet. First we'll declare it and then appoint it. In any case the members will be from East Jerusalem families. We will try to get our message across through peaceful means. Just like the Israelis live in peace, we deserve to live in peace too. The Israelis are our neighbors and they deserve life just like us." Are you connected to the Palestinian Authority? "Absolutely not. We have no ties to the PLO or to the Palestinian Authority, which does not support us. On the contrary – it opposes this step. We believe that both Israel and the Palestinian Authority discriminate against the residents of East Jerusalem." And you expect an answer from the secretary general of the UN? "Of course. And if he doesn't respond, we will intensify our actions and maybe even travel to the UN headquarters in New York and protest there. We demand that the Security Council carry out the resolutions it passed. Rafik Hariri (former prime minister of Lebanon) has only been dead since yesterday and they have already formed an international tribunal. While Jerusalem has been suffering under occupation for 40 years and no resolutions have been carried out. 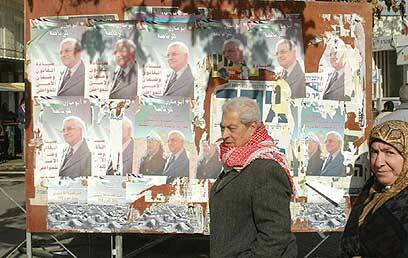 See all talkbacks "East Jerusalem to UN: We want independence "